Clement Attlee (1883-1967) was a British Labour politician who served as the Prime Minister from 1945 to 1951. 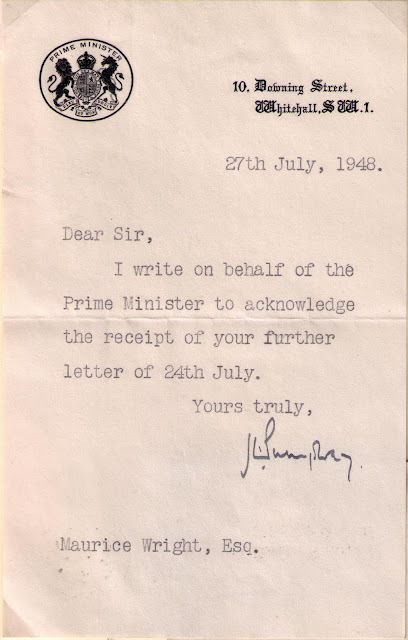 He is considered to be one of the best British Prime Ministers of the 20th century. 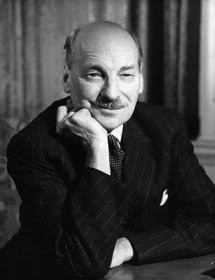 ...Attlee served in the Great War and was wounded at Galipoli. Returning to Stepney post-war, he was elected mayor in 1919. 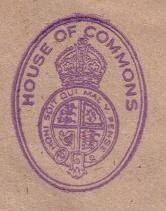 His parliamentary career began when he was elected MP for Limehouse in 1922. He became Parliamentary Private Secretary to Ramsay MacDonald and served in both his administrations. 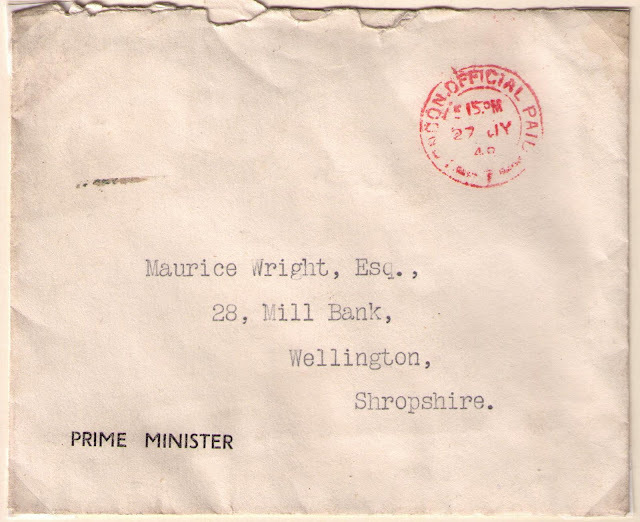 In 1935 he became leader of the Parliamentary Labour Party (remaining in the position for twenty years) and was Leader of the Opposition until 1940. He then served in the Churchill war coalition as Lord Privy Seal despite Parliamentary Labour’s strong pacifist contingent. In 1942 he was elevated to be Deputy Prime Minister and Secretary of State for the Dominions effectively in charge of domestic matters while the PM was occupied with the war. After the war, Attlee’s Labour Party was elected by a landslide – their offer to win the peace captured the national mood better than Churchill, promoted (justly) as the wartime hero. The Attlee government instituted a remarkable social and economic programme characterised by radicalism: the foundation of the National Health Service; the nationalisation of heavy industries and the Bank of England; a huge building programme; and a new national insurance scheme.In international affairs, the government oversaw the dismantling of Empire, the Berlin airlift during the Russian blockade of the city in 1948-9, and the formation of NATO.In 1950 Attlee found himself with a reduced majority, and his government suffered from the death of key figures, and from internal disputes and high-profile resignations. 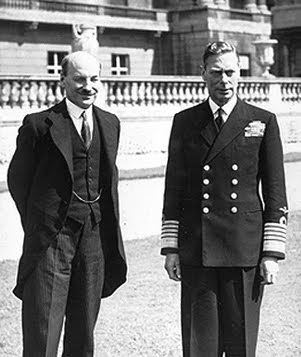 Attlee’s health was also beginning to deteriorate. Despite winning more votes than the Conservative Party, Labour narrowly lost the election of October 1951. Letter acknowledging correspondence to the Prime Minister. 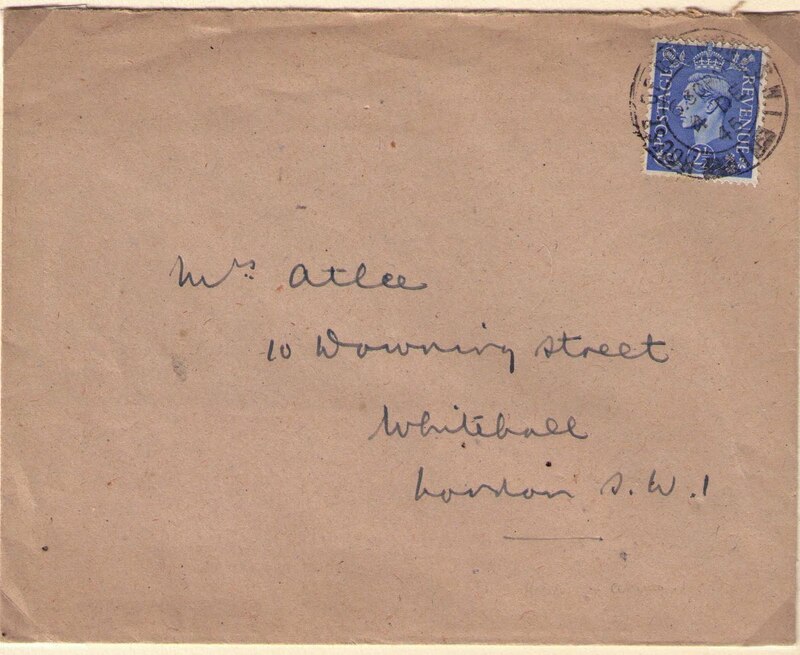 Violet (Millar) Attlee (1895-1964) was the wife of Clement Attlee and mother of their four children. 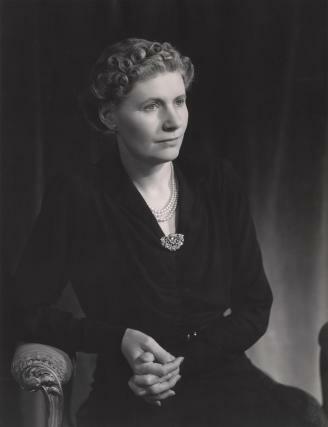 A kind woman who was not, by her own admission, "a political wife", Mrs. Attlee assisted in personal matters for the children of her husband's ministerial colleagues. She was constantly at Clement's side at party conferences, at innumerable gatherings overseas, and in the detailed chores of his political career. berikan 4 angka  alhamdulillah ternyata itu benar2 tembus AKI. insya allah anda bisa seperti saya…menang togel 570 JUTA , wassalam. 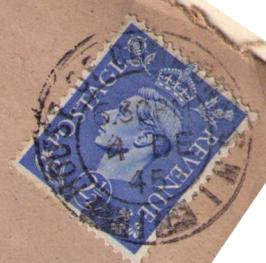 After a long break, I'm back to posting on the Great Britain Philately Blog. Kermit Roosevelt to Theodore Roosevelt Jr. This blog deals with the George VI period, 1937- 1953. Traditional postal history topics such as rates and mail handling are featured. As well, philatelic subjects are included. Please email me at philcovex@gmail.com if you have any questions or comments.